Blended families are becoming more common in today's society. Regardless of the circumstances, children often experience deep feelings of hurt, anger, and depression when two families join together. In this touching book focused on children from blended homes, author Maxine Marsolini uses her experience in a blended family as well as advice from recognized experts and candid stories from children to teach the art of stepparenting. Raising Children In Blended Families by Maxine Marsolini was published by Kregel Publications in October 2006 and is our 53971st best seller. 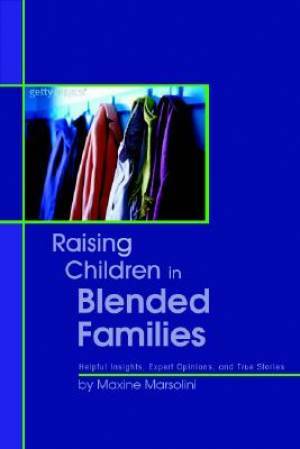 The ISBN for Raising Children In Blended Families is 9780825433559. Be the first to review Raising Children In Blended Families! Got a question? No problem! Just click here to ask us about Raising Children In Blended Families.